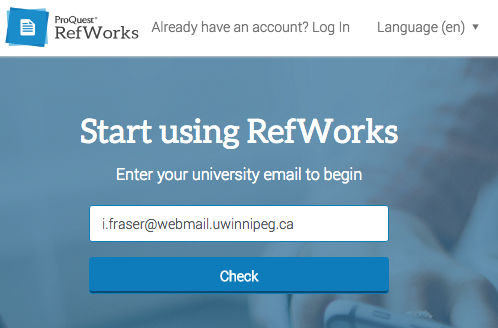 We will be decommissioning the RefWorks Legacy Platform on June 30, 2019. 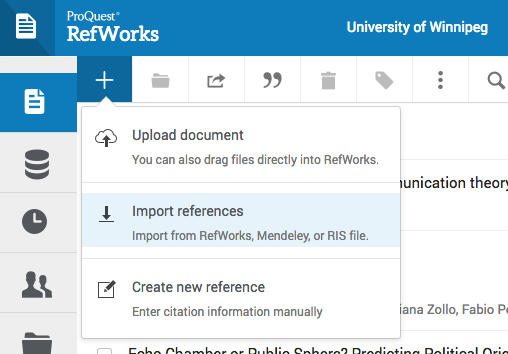 If you have not done so yet, please create an account on the new ProQuest RefWorks platform and import your references. If you require assistance, please contact reference@uwinnipeg.ca or call 204-786-9815. The UW Library offers a RefWorks [ProQuest] subscription to all students, faculty, and staff. 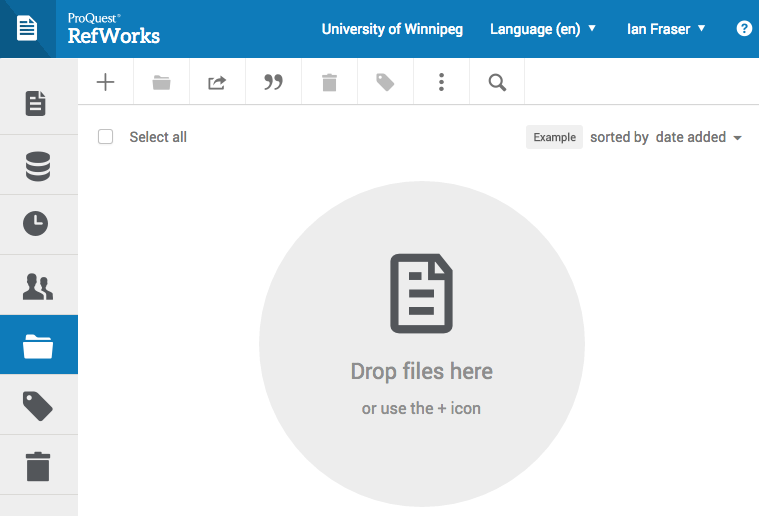 Refworks is a reference management program that allows researchers to organize their sources in a single personalized database. From this database, users can easily generate citations and bibliographies, and magically integrate their sources into MS Word. For those who do not currently have an account, please follow these instructions below to create one.